The leadership or management behind this product includes at least one mental/behavioral health professional. 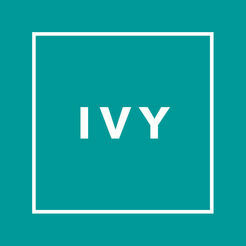 Ivy Pay is a payment system designed exclusively for therapists and features instant payment, secure credit card storage, and progress notes. It is primarily for solo practitioners, although there is some support for group practices. The main interface is accessed through smart phones or tablet devices on android or apple platforms. The practitioner never needs to touch the client’s credit card as Ivy Pay sends an SMS message to the client providing them a link to a secure web page to enter their credit card info. Ivy Pay has put a lot of thought into features and functionality that facilitate HIPAA security compliance, credit card security, and align with therapist’s ethical standards. In order to sign up for the service, Ivy Pay will interview you and ask for your licensure information to ensure that you are licensed — or in the process of becoming a licensed practitioner. If you navigate out of the app, you need to re-enter your pin code each time, so that information is not left viewable if someone else picks up your phone or tablet. We also like the fact that they consult with a panel of therapists regarding feature development, including security and privacy, and they have a mental health practitioner on staff. They have done a fantastic job at limiting the information contained in SMS messages to clients, such that it does not identify or allow for the identification of their particular therapist. It is worth mentioning that we greatly appreciate that they utilize our preferred terminology of HIPAA-secure as opposed to HIPAA-compliant. Could they have referenced our article, “HIPAA-Compliant” Is a Meaningless Phrase. Let’s Use “HIPAA-Secure”?! Click here for the free trial or free service tier information→. Important note about Business Associate Agreements: This product offers a Business Associate Agreement with the free trial or free service tier. Be sure to get your BAA from the company before using client information while you test the product. Ivy Pay automatically sends SMS text messages to the client for initially inputting credit card info, and when their card is charged. This is essential to the product and there is no way for the service to work without using SMS text message. Fortunately, Ivy Pay does this without naming the therapist or including any information that could be used to determine the therapist’s identity and thereby significantly reduces the security and privacy risks that are typically present with payment related notifications. However, it is an ethical responsibility for therapists to collaborate with their client if there is a risk — such as with a potential domestic abuser, who could see text messages coming from Ivy and then research that this is a payment service for therapists. We recommend engaging each client in a collaborative risk analysis to ensure it is safe for them to receive those text messages, prior to adding them as a client in Ivy Pay and initiating the sign-up invitation SMS message that Ivy Pay sends on your behalf. Ivy Pay does not automatically execute a BAA with you — although they have it clearly posted on their website and it is viewable in the app for your smartphone or tablet. We recommend you request a signed version, which you can conveniently do through the settings menu within the app. Ivy Pay recently added a Progress Note field to enter notes after each session on your smartphone or tablet. We recommend you consider a more fully featured practice management system for maintaining client notes if you want to maintain them electronically. However, it is a convenient and secure space to enter payment related notes. If you decide to use the Progress Notes feature in Ivy Pay, you may want to set the ‘Privacy’ slider button to not show Progress Notes when viewing client list information. Fortunately, Ivy requires the therapist to enter a PIN each time they access the app, so if client information is left open, there will be a layer of protection if someone else picks up the device.